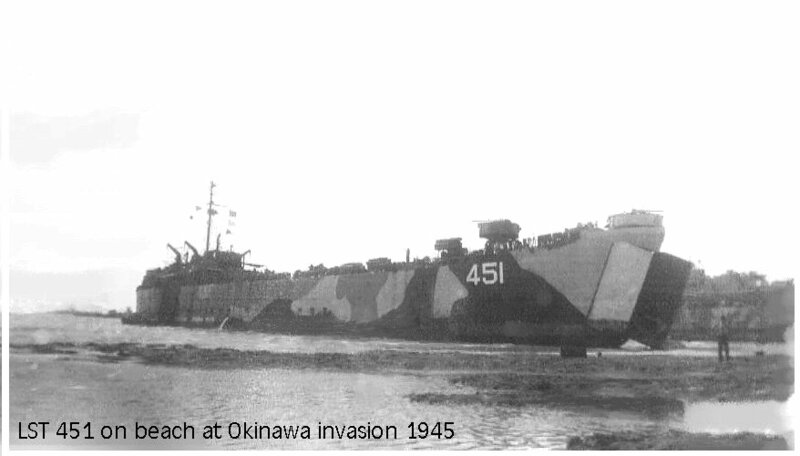 Laid down, 20 July 1942, at Kaiser, Inc., Vancouver, WA. 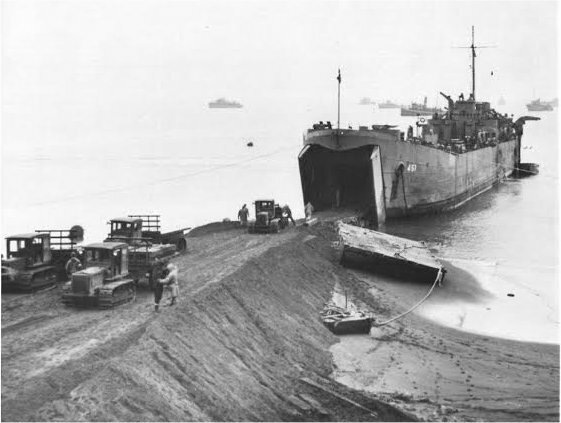 SC 189531 1302k Army 18th Engineers build a dirt filled barge ramp to enable off loading of their equipment from USS LST-451 while the ship is beached at the Aleutian Island of Shemya Alaska, 1 June 1943. 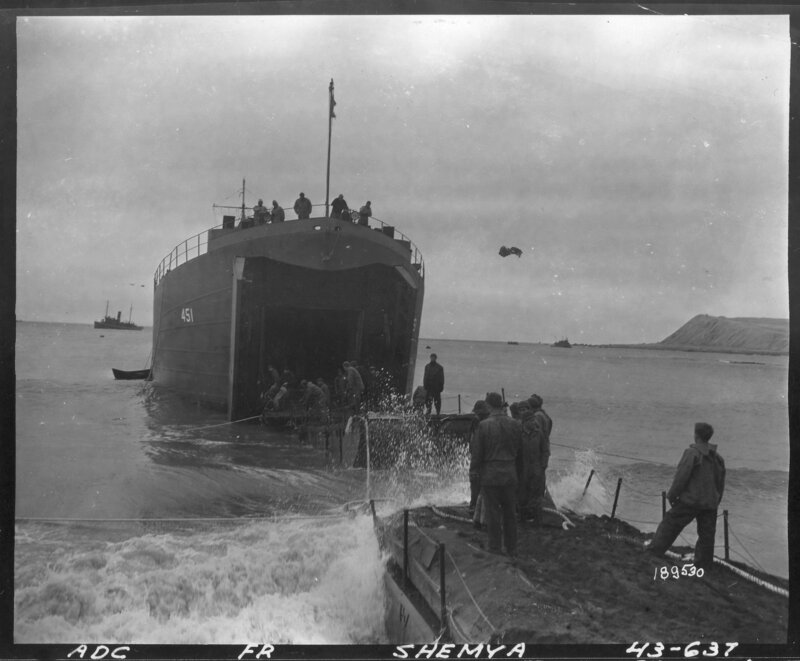 American Army troops landed on Shemya during the Attu occupation. 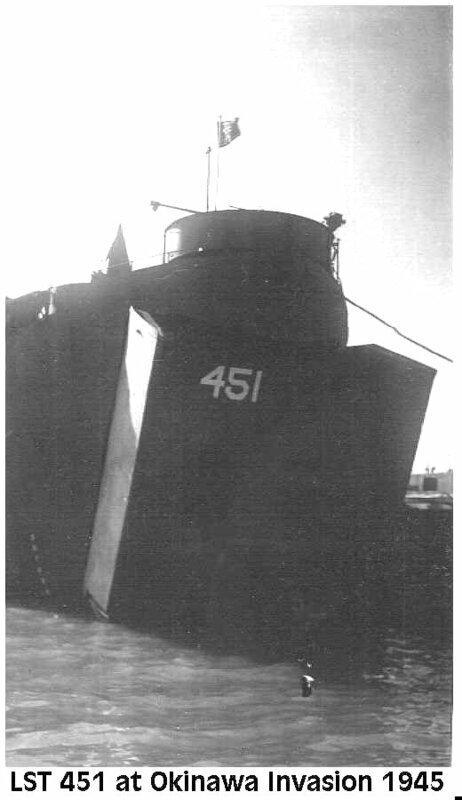 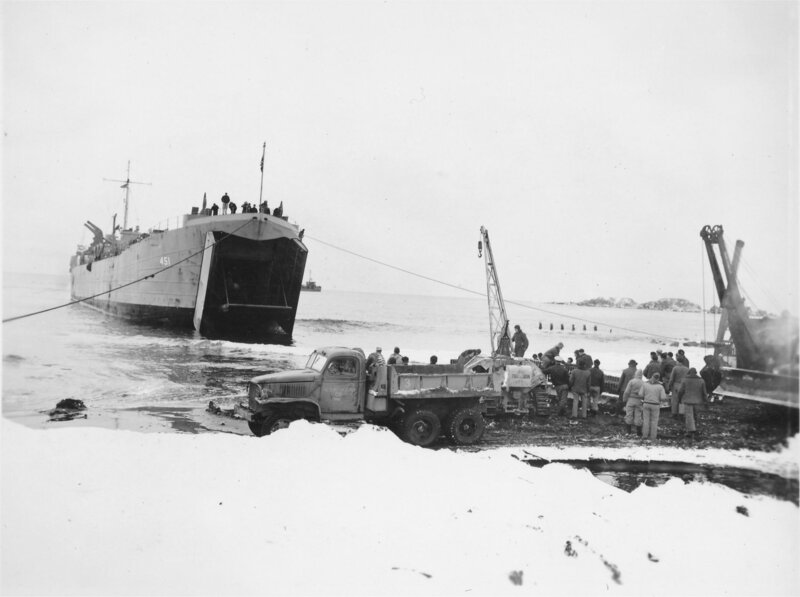 41k USS LST-451 beached on a dirt ramp at Attu Island, Aleutian Islands, Alaska, in September 1943. 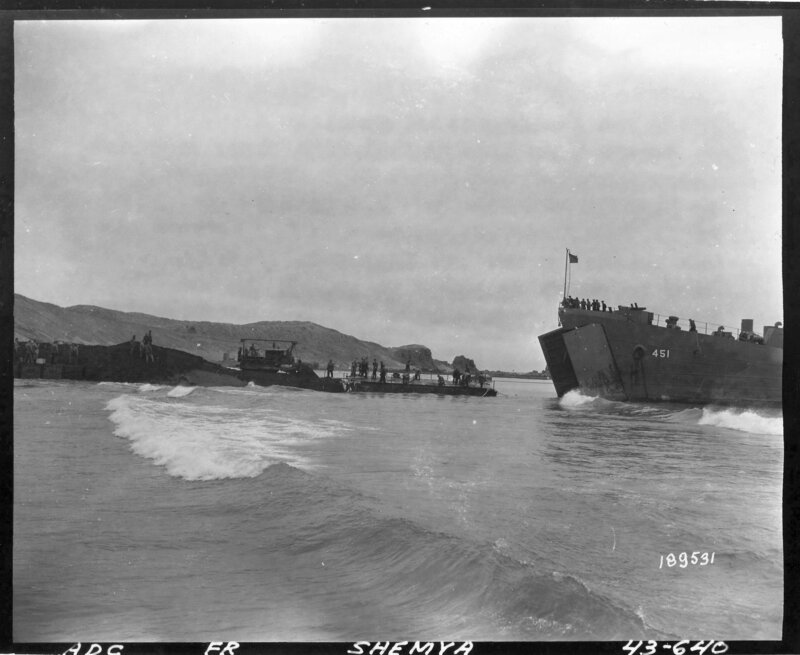 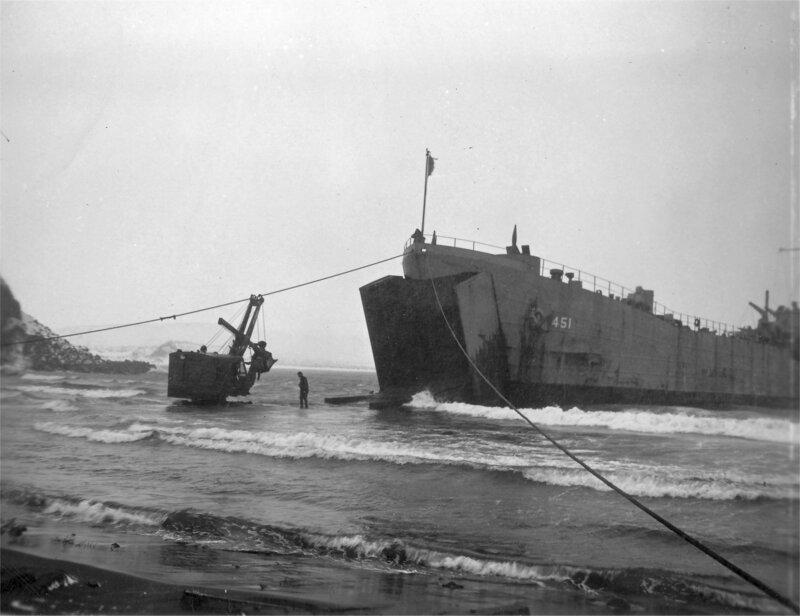 598 USS LST-451 beached at Tanaga Island, AK, unloading supplies for Seabees building an airfield, late September 1943.